Tranzmission has a new home for 2019 at the beautiful and historic Crystal Palace park on the site of the Crystal Palace. Featuring Drum & Bass, Garage, Jungle, Grime, House, Old Skool and Comedy, this will be London’s biggest summer Rave festival. For the first time Tranzmission will feature a full outdoor stage which will profile each of the events’ genres as the ‘Main Stage’. Tented venues will cover each music style individually. There will be a great selection of food and bars on site as well as fair rides and merchandise stalls. The VIP area is situated on a raised terrace overlooking the Main Stage and featuring its own arena which is hosted by Raindance as well as offering VIP toilet trailers. There is also the VVIP backstage area where you can hang in the Greenroom bar with artists and industry people. VVIP Benefits Include: All the benefits of VIP tickets plus Entry through Artist Entrance and access to the backstage Green Room bar to mingle with the artists. *Choose from Drum & Bass, Garage, or Jungle MP3’s recorded live at the event. Please allow one month for details to be sent to you on how to download your MP3s. This MP3 offer does not apply to paper VIP tickets. Perfect for storing coats, sweatshirts, day bags, handbags, cameras etc. Book a Cloakroom locker and you get a wristband that allows you access to the locker area.Set your own PIN code on your locker and then come and go as often as you like. These tiny lockers are perfect if you just want to store phones, ID, wallets, car keys etc. Book a personal item locker and your items are locked away for you. You get a wrist band and are free to retrieve your items as often as you like. Phone charging services are also available in the locker area. This year again, we’ve partnered with Festicket to offer a variety of packages including your ticket for the festival and your accommodation for the weekend. Discover a range of comfortable and luxury accommodation options situated close to the festival site for efficient access each day. We strongly advise using Public Transport to travel to the venue. Crystal Palace is located in a very heavily-populated area with little or no free parking available. The nearest Train / Bus Station is Crystal Palace, and this is located literally 5 minutes walk from the festival entrance. The station is served by London Overground and National Rail. See nationalrail.co.uk or tfl.gov.uk to plan your journey. Further info is also available in the FAQs below. Please bear in mind that this is a festival event and as such will be on a grass surface which may be slightly uneven. It is always worth checking weather conditions on the day and making any adjustments to equipment you may need to bring with you for your convenience and comfort. We provide a free personal assistant ticket to people who may need personal help from a trusted assistant at the event. 1. Order a ticket (from Ticket Arena here) in the same name as is shown on the proof of disability document. 3. We will then provide you with an equivalent grade ticket, be that Standard, VIP or VVIP. Rights of admittance reserved. This event is for over 18s only. To enter the festival you must be aged 18 or over. Everyone must present a valid ID when they arrive. The only accepted forms of ID are a valid, in date, passport, driving license or home office approved proof of age card that clearly displays the pass hologram. Full details are available here. The bars will operate a challenge 25 system. If you look under 25, you will be asked to provide valid photo ID proving you are 18 or over. Please take it as a compliment and if you’re lucky enough to look under 25, make sure you bring your photo ID with you. Photocopies or birth certificates will not be accepted and are not valid forms of photo ID. Please do not come without your valid photo ID even if you are over 18, as you may be turned away if you cannot prove your age. There is a strict no re-entry policy on the day. The event running times are 12pm – 10pm. For security reasons, all Tranzmission ticket holders will be subject to searches at entry to the event. Please be patient if there are queues, and please cooperate with any security requests and all searches. We have put in place all necessary measures to maximise public safety, working closely with the authorities. You can also play your part in keeping Tranzmission safe and secure by reading the following text on restrictions and prohibited items. In order to facilitate the security, safety and comfort of all patrons, Tranzmission reserves the right in its reasonable discretion to conduct security searches of persons, clothing, bags and all other items on entry and exit, and to confiscate items which may cause danger or disruption to the Event with no refunds (please note that we are not responsible for any prohibited items or other items that we deem inappropriate or unsafe that are confiscated). - Anything illegal or offensive. - Food & drink. 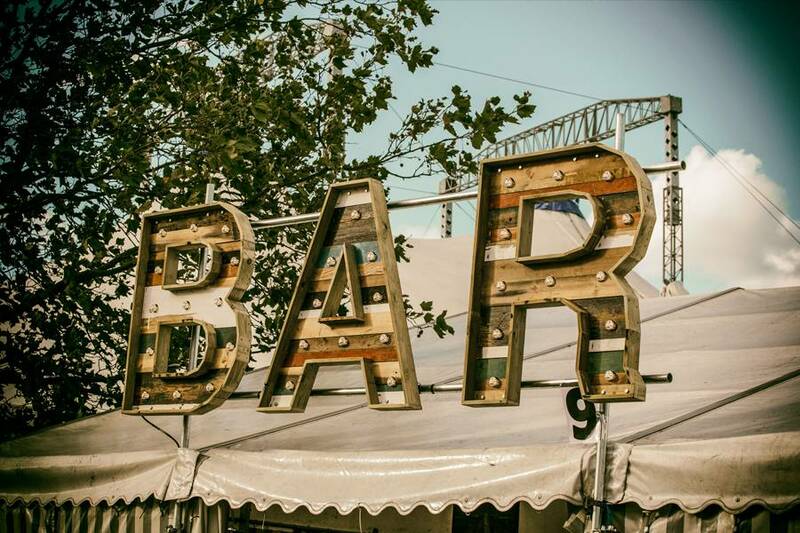 There are a variety of licensed bars and catering open throughout the event. - Illegal Substances and New Psychoactive Substances (Legal Highs) Tranzmission takes any drug use very seriously, including the use of nitrous oxide inside or outside the event, and anyone found in possession of drugs may face prosecution. - NO Glass or aerosols, including bottles. For perfume please consider using a Refillable Travel Perfume Atomiser Spray Bottle, these are available on popular online stores like Amazon. - Large bags are not allowed to be taken into the festival. Small bags are allowed with the dimensions of 30cm x 42cm (A3 size) nothing bigger please. - Tents and gazebos, tables, BBQs, stoves and gas canisters. - Banners and flags with sticks/poles. - Animals, with the exception of assistance dogs, are not permitted at any time within any areas of the site. - Dangerous or hazardous items g. knives, scissors, flares, fireworks, lighter fuel, aerosols, spray cans, air horns, klaxons or similar, laser pens. - Chinese lanterns and Fireworks. - Bicycles, skateboards and scooters. - Any other items not included in the above list that we consider to be unsafe or pose a risk to public safety and/or security. - You are allowed to bring prescribed medication on site when accompanied by a doctor’s note or valid medical certificate. There will be cash machines on site. However, to avoid queues, we recommend bringing all the cash you expect to need for the day with you when you arrive. Cards will be accepted at some of the event bars. CAN I CANCEL OR RETURN MY TICKET? Please note that all tickets are non refundable and non exchangeable. DO NOT BUY TICKETS FROM PEOPLE YOU DO NOT KNOW AND THEREFORE CAN’T TRUST. There are sharks out there ready to con you out of your money. Please, please, please do not hand over or send money to people posting on Facebook or any other social media forum saying they have tickets. Only get tickets from the official ticket outlets. 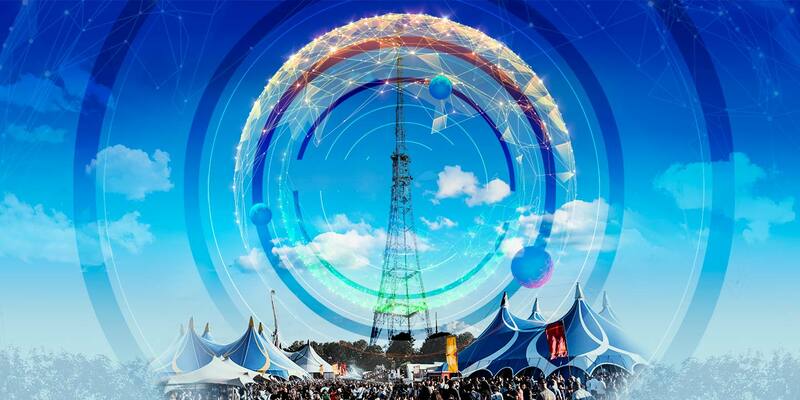 The nearest London Overground station to the festival entrance is Crystal Palace which is less than 5 minutes walk from the entrance to the event. We strongly advise travelling by public transport and leaving your car at home. There will be absolutely no parking available in the area and you will not be able to park within Crystal Palace.